The Model 126, which is from the same workshop as the Model 116, offers a distinct visual appearance. This violin has had careful top graduation and bass bar fitting which results in a more colorful sound. 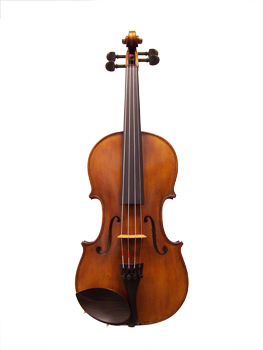 The varnish color and treatment vary from violin to violin. Adjustment includes ebony fingerboard, pegs, and chinrest, composite tailpiece with built-in fine tuners, and Pirastro Tonica brand strings.